So if you’re a theoretical physicist, the thing that will place you up there with Einstein is a unifying theory of “quantum gravity” — in essence a theory of everything — that brings together two big ideas of the twentieth century: general relativity and quantum mechanics. Einstein’s general theory of relativity explains the effect of gravity on the shape of space and the flow of time. And quantum mechanics replaces classical mechanics at atomic and subatomic levels. Lots and lots of super-smart physicists have been wrestling with a unifying theory for years, of course. There are a number of possibilities out there — like string theory/theories or loop quantum gravity — that may yet prove to be the Holy Grail. But that’s part of the problem. They MAY prove to be. They’ve been impossible to prove or disprove experimentally, though there are a few experiments going on now (or coming soon to a lab not-so-near you) that will touch on small corners of these theories. Already confused? So are we. So we’d like to tour the frontier of physics — passing through the outer reaches of the universe and the innermost realms of atoms — to try to understand parts of the cosmos that we can’t see directly: black holes, extra dimensions, quarks, and so on. And to puzzle out how they might all fit together. 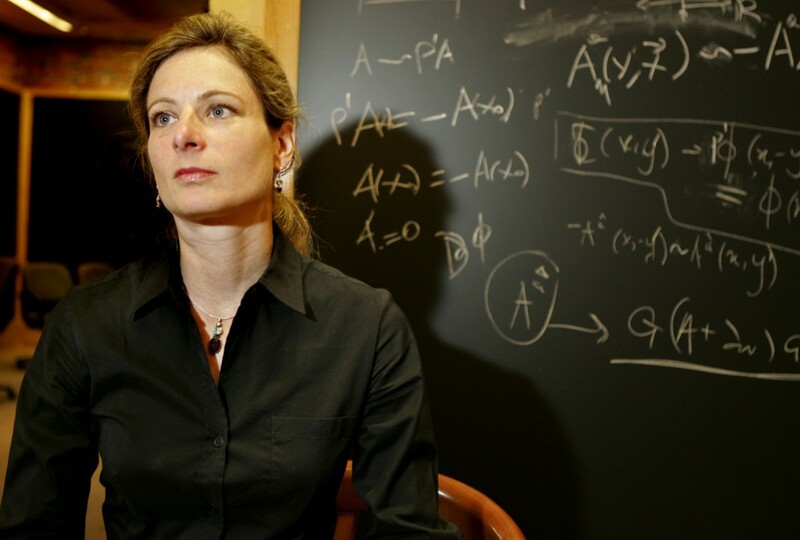 Our guide will be Lisa Randall, particle physicist and cosmologist at Harvard. What would you like to ask Professor Randall? Special thanks to JeffakBoston for his time and helpful suggestions. Professor of Physics, Harvard University. Author, Warped Passages: Unraveling the Mysteries of the Universe’s Hidden Dimensions. One of the most cited physicists of the last five years. Featured in Newsweek‘s “ Who’s Next 2006“. What Do We Make of The Big Bang? October 9, 2006 What Should College Teach?